Letter CCXXXVI.—TO BUCER, Letters of John Calvin, Volume 2 (Bellingham, WA: Logos Bible Software, 2009), 198–199. We must now examine this question. 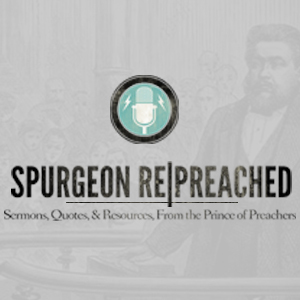 How do we receive those benefits which the Father bestowed on his only-begotten Son—not for Christ’s own private use, but that he might enrich poor and needy men? First, we must understand that as long as Christ remains outside of us, and we are separated from him, all that he has suffered and done for the salvation of the human race remains useless and of no value for us. Therefore, to share with us what he has received from the Father, he had to become ours and to dwell within us. For this reason, he is called “our Head” [Eph. 4:15], and “the first-born among many brethren” [Rom. 8:29]. We also, in turn, are said to be “engrafted into him” [Rom. 11:17], and to “put on Christ” [Gal. 3:27]; for, as I have said, all that he possesses is nothing to us until we grow into one body with him. It is true that we obtain this by faith. Yet since we see that not all indiscriminately embrace that communion with Christ which is offered through the gospel, reason itself teaches us to climb higher and to examine into the secret energy of the Spirit, by which we come to enjoy Christ and all his benefits… the Holy Spirit is the bond by which Christ effectually unites us to himself. It is therefore in vain that so many burning lamps shine for us in the workmanship of the universe to show forth the glory of its Author. Although they bathe us wholly in their radiance, yet they can of themselves in no way lead us into the right path. Surely they strike some sparks, but before their fuller light shines forth these are smothered. For this reason, the apostle, in that very passage where he calls the worlds the images of things invisible, adds that through faith we understand that they have been fashioned by God’s word [Heb. 11:3]. He means by this that the invisible divinity is made manifest in such spectacles, but that we have not the eyes to see this unless they be illumined by the inner revelation of God through faith. And where Paul teaches that what is to be known of God is made plain from the creation of the universe [Rom. 1:19], he does not signify such a manifestation as men’s discernment can comprehend; but, rather, shows it not to go farther than to render them inexcusable. The same apostle also, even if he somewhere denies that God is to be sought far off, inasmuch as he dwells within us [Acts 17:27], in another place teaches of what avail that sort of nearness is, saying: “In past generations the Lord let the nations follow their own ways. Yet God did not leave himself without witness, sending benefits from heaven, giving rain and fruitful seasons, filling men’s hearts with food and gladness” [Acts 14:16–17; vs. 15–16, Vg.]. Therefore, although the Lord does not want for testimony while he sweetly attracts men to the knowledge of himself with many and varied kindnesses, they do not cease on this account to follow their own ways, that is, their fatal errors. Institutes of the Christian Religion, Volumes 1 & 2, ed. John T. McNeill, trans. Ford Lewis Battles, The Library of Christian Classics (Louisville, KY: Westminster John Knox Press, 2011) Vol. 1.5.14 p. 68. Indeed, it is true that faith looks to one God. But this must also be added, “To know Jesus Christ whom he has sent” [John 17:3]. For God would have remained hidden afar off if Christ’s splendor had not beamed upon us. For this purpose the Father laid up with his only-begotten Son all that he had to reveal himself in Christ so that Christ, by communicating his Father’s benefits, might express the true image of his glory [cf. Heb. 1:3]. It has been said that we must be drawn by the Spirit to be aroused to seek Christ; so, in turn, we must be warned that the invisible Father is to be sought solely in this image. Augustine has finely spoken of this matter: in discussing the goal of faith, he teaches that we must know our destination and the way to it. Then, immediately after, he infers that the way that is most fortified against all errors is he who was both God and man: namely, as God he is the destination to which we move; as man, the path by which we go. Both are found in Christ alone. But, while Paul proclaims faith in God, he does not have in mind to overturn what he so often emphasizes concerning faith: namely, that all its stability rests in Christ. Peter, indeed, most effectively connects both, saying that through him we believe in God [1 Peter 1:21]. Institutes of the Christian Religion, Volumes 1 & 2, ed. John T. McNeill, trans. Ford Lewis Battles, The Library of Christian Classics (Louisville, KY: Westminster John Knox Press, 2011) Vol. 1.3.2.1. p. 543-544. Hence arises that boundless filthy mire of error wherewith the whole earth was filled and covered. For each man’s mind is like a labyrinth, so that it is no wonder that individual nations were drawn aside into various falsehoods; and not only this—but individual men, almost, had their own gods. For as rashness and superficiality are joined to ignorance and darkness, scarcely a single person has ever been found who did not fashion for himself an idol or specter in place of God. Surely, just as waters boil up from a vast, full spring, so does an immense crowd of gods flow forth from the human mind, while each one, in wandering about with too much license, wrongly invents this or that about God himself. Institutes of the Christian Religion, Volumes 1 & 2, ed. John T. McNeill, trans. Ford Lewis Battles, The Library of Christian Classics (Louisville, KY: Westminster John Knox Press, 2011) Vol. 1.5.12. p. 64-65. Robert White’s new translation of the 1541 French edition of the Institutes makes Calvin live once again, and the reader will be truly amazed at both the power and the relevance of the Reformer’s doctrine and application for Christian living in the 21st century. 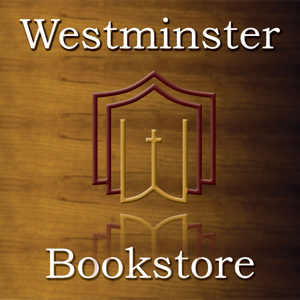 Currently, WTSBooks is offering both this new beautiful hardcover edition of Calvin’s Institutes as well as the mini-book “A Guide to Christian Living” for $35 total. 1541 Calvin’s Institutes + A Guide to Christian Living: $35. 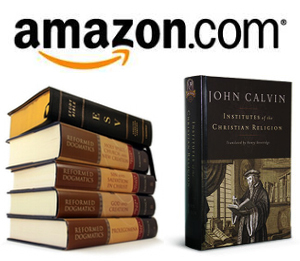 1541 Calvin’s Institutes Only: $34. But although the Lord represents both himself and his everlasting Kingdom in the mirror of his works with very great clarity, such is our stupidity that we grow increasingly dull toward so manifest testimonies, and they flow away without profiting us. For with regard to the most beautiful structure and order of the universe, how many of us are there who, when we lift up our eyes to heaven or cast them about through the various regions of earth, recall our minds to a remembrance of the Creator, and do not rather, disregarding their Author, sit idly in contemplation of his works? In fact, with regard to those events which daily take place outside the ordinary course of nature, how many of us do not reckon that men are whirled and twisted about by blindly indiscriminate fortune, rather than governed by God’s providence? Sometimes we are driven by the leading and direction of these things to contemplate God; this of necessity happens to all men. Yet after we rashly grasp a conception of some sort of divinity, straightway we fall back into the ravings or evil imaginings of our flesh, and corrupt by our vanity the pure truth of God. In one respect we are indeed unalike, because each one of us privately forges his own particular error; yet we are very much alike in that, one and all, we forsake the one true God for prodigious trifles. Not only the common folk and dull-witted men, but also the most excellent and those otherwise endowed with keen discernment, are infected with this disease. Institutes of the Christian Religion, Volumes 1 & 2, ed. John T. McNeill, trans. Ford Lewis Battles, The Library of Christian Classics (Louisville, KY: Westminster John Knox Press, 2011) Vol. 1.5.10. p. 63-64. We are called to a knowledge of God: not that knowledge which, content with empty speculation, merely flits in the brain, but that which will be sound and fruitful if we duly perceive it, and if it takes root in the heart. For the Lord manifests himself by his powers, the force of which we feel within ourselves and the benefits of which we enjoy. We must therefore be much more profoundly affected by this knowledge than if we were to imagine a God of whom no perception came through to us. Consequently, we know the most perfect way of seeking God, and the most suitable order, is not for us to attempt with bold curiosity to penetrate to the investigation of his essence, which we ought more to adore than meticulously to search out, but for us to contemplate him in his works whereby he renders himself near and familiar to us, and in some manner communicates himself. The apostle was referring to this when he said that we need not seek him far away, seeing that he dwells by his very present power in each of us [Acts 17:27–28]. For this reason, David, having first confessed his unspeakable greatness [Ps. 145:3], afterward proceeds to mention his works and professes that he will declare his greatness [Ps. 145:5–6; cf. Ps. 40:5]. It is also fitting, therefore, for us to pursue this particular search for God, which may so hold our mental powers suspended in wonderment as at the same time to stir us deeply. And as Augustine teaches elsewhere, because, disheartened by his greatness, we cannot grasp him, we ought to gaze upon his works, that we may be restored by his goodness. Institutes of the Christian Religion, Volumes 1 & 2, ed. John T. McNeill, trans. Ford Lewis Battles, The Library of Christian Classics (Louisville, KY: Westminster John Knox Press, 2011) Vol. 1.5.9. p. 61-62.